Becky O’Neill has been a Top Producing Real Estate Agent since 2001 in the St. Louis and Chicago Land Markets. Becky has been a full time Realtor since 2001 serving over 208 homeowners and selling over 52 Million in Production. She specializes in the Chesterfield and Fenton Areas and all surrounding areas of St. Louis. Becky was born and raised in St. Louis, MO with all of her family still in the area too. She is the right fit for you if you are looking for an agent that will be aggressive, honest, loyal, educated with the market trends, professional and real with you. She believes in making your home buying or home selling experience a very positive one but also very realistic for this market. She will tell you the things you don't want to hear in order to get your home sold for top dollar or tell you the things that need to be done in order for you to buy a home in this market. You are hiring an expert in this market if you hire Becky.......and you should expect nothing but the best guidance to accomplish your goals!!!! Becky wants to work hand in hand to make it a win win experience TOGETHER!!!! She was inducted into the Remax Hall of Fame in 2010 and has been consistently ranked as one of the top realtors in her market place. She has worked in two different markets, St. Louis, MO and Chicago, IL and has built a vast of networks in order to accomplish maximum exposure. Total accomplishments include being a 52 Million Dollar Producer with over 208 homes sold, Ranked in top 20 out of ALL Realtors, #1 Agent in Market, #1 Agent at Re/Max Professional South, Ranked in top 1% out of all Re/Max Agents for Individual Residential Sales, Platinum Club Level - 2008, 100% Club Level - 2006, 2007, 2009, Executive Club Level - 2002, 2005, 2010. Becky is constantly searching for the latest technology to better serve her sellers and buyers. This is how Becky stays in focus with today's ever changing Real Estate Market. She has been able to accomplish all of this because of her dedication and respect for her clients. She has such a strong track record of success and knows that is due to her wonderful clientele and her awesome team at The Becky O'Neill "POWER" Home Selling Team.......Positive Outcome With Exceptional Results is what you will get when you work with us!!! 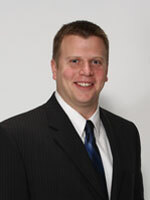 Jason Fone is a member of the Becky O'Neill "POWER" Home Selling Team. Jason is a native of the St. Louis area. He has a wealth of knowledge about the towns and neighborhoods that make up the St. Louis area, and an appreciation for the different cultures and people that make up this great city. Jason earned a bachelors degree in business management from St. Louis University. Jason has worked as a manager and customer service provider for the past six years. He knew the passion and experience that he has for helping people could transfer over to become a successful real estate agent. Jason is a very driven and motivated person. When it comes to getting the job done right, there are no exceptions. He will work extremely hard to help you with any real estate needs you may have. Jason is very excited to be a part of the Becky O'Neill "POWER" home selling team. When a group of people genuinely care about each other and their clients, as our team does, there is an extreme sense of satisfaction and pride that comes with helping someone find their dream home, and knowing that we did our very best to help you. Heather recently joined the Becky O'Neill "POWER" Home selling team and couldn't be more excited. Heather was born and raised in the South County area and resides there with her husband and daughter. Heather has worked in the medical field for the past 11 years. One of her proud accomplishments was when she was tasked with establishing a successful practice for an incoming doctor new to the area. Through Heather's marketing skills, hard work and determination she grew his practice from seeing one patient a day in 2005 to seventy plus in 2008. She knew her energetic attitude, love for helping people and her strive for perfection would be a perfect fit for her dream job of becoming a real estate agent. Heather's clients are her number one priority. She knows through her fantastic organizational skills, personable attitude, and dedication to get the job done right the first time that you will be very pleased with her service. In March of 2010 Heather made her dream job a reality. She loves working for the Becky O'Neill "POWER" Home selling team. Heather's goal is to gain your confidence, help you find the home of your dreams and with that earn a lifetime referral. Working hand-in-hand as a TEAM with only one goal in mind: servicing our clients who define "The Becky O'Neill Team" success as a leader in the real estate industry. Why choose "The Becky O'Neill Team? ¨ Choose us for communication……………..
¨ Choose us for our Marketing Plan……………..
We offer a comprehensive marketing plan consisting of an extremely aggressive Internet marketing campaign providing maximum Internet Exposure, Virtual Tours, Broker Open, Open House, Magazines, Newspapers, Print Ads, Brochures, Flyer's, Home Staging Consultations, Range of Sale Analysis and Monthly Reports. Being a local resident and keeping up property values is a high priority of Becky O'Neill & Associates, Ltd.
You are our number 1 priority!